Phoenix, Chandler, Tempe, Surprise, El Mirage, Anthem and Glendale. 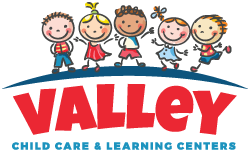 Welcome To Valley Learning Centers! OUR MISSION IS: "TO MAKE CHILDREN SMILE!" Hello Friends this is my favorite season of the year. All the decoration, Family Time and not to mention the weather is amazing! I can’t believe we are in December already time is just flying by. So on that note here is December Sneak Peak. Circle Time: Identifying items that start with letters M, N and O. Teachers will introduce the color White and Rectangle shape and Number 6. Children will learn about opposites this month. Towards the end of the month they we will be learning all about out bodies and how to take care of them. Teachers will teach children how to brush their teeth correctly. So we can have healthy smiles. Building Area: Items that start with letters M, N and O will be added to building area. By doing this child will learn through play. Sensory/Science: Sorting Mittens, Marshmallow Construction, Shaving Cream Snow, White Play Dough, Ice Balls, Noodle Play, Letter Sensory Bottle, Opposites Texture Box, O Construction, Bubble Wrap Race, Foot Painting, Gingerbread Play Dough, Toothbrush Fun, Salt Letters and Numbers. Did you ever see a cloud? Movement: Mitten Hide and Seek, M is for Move, Cloud Viewing, Penguin Waddle, Ice Dancing, Streamer Maze, Rectangle Block Obstacle course, Rectangle Jump, Big and Little Walk, Balloon Ping Pong, Polar Animals Hide and Seek, Bubble Wrap March, Jingle Bell Toss, Target Practice, Jump through hoops and Animals Games. Art: Marshmallow Fun, White Collage, Penguin Mosaic, Letter N Collage, N is for Noodle Art, Rectangle Sponge Painting, Opposite Craft, Number Collage, Letter O Card, Cotton ball Painting, Face Collage, Body Collage, Gingerbread People, Ornament art, Tooth Brush Art, Confetti Collage and New Years Eve Hats. Cooking: White Chocolate Muddy Buddies, N is for Nachos, Sugar Cookie Numbers, Orange Frosty, Olive Snack and Gingerbread House or People Cookies. What an exciting month! I can’t wait to see every center Facebook pages through this month! Hope you all enjoy every moment! Thank you for your interest in Valley Learning Centers! Your comments and questions are welcomed. Please complete the form below to receive a personal response.